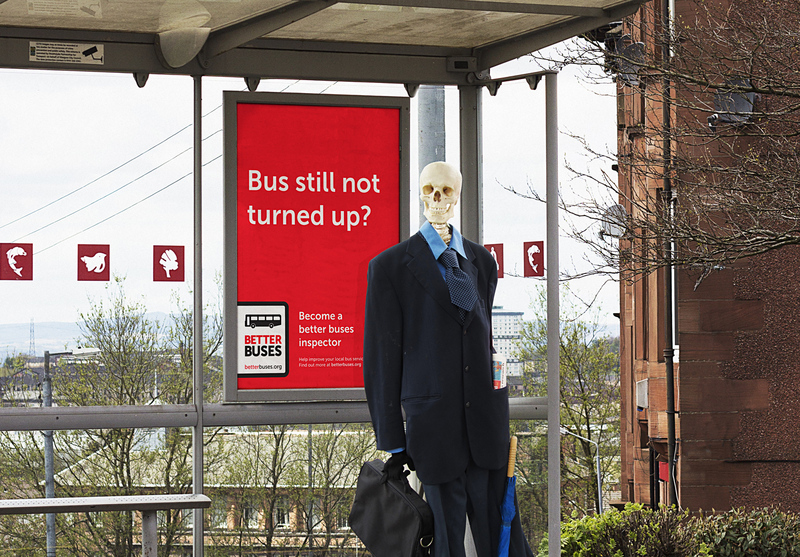 Home > Better Buses News > Do you have a skeleton bus service? Do you have a skeleton bus service? Here is the latest poster for the better buses campaign. We have found that 72% of people responding to our online survey believe that buses are unreliable. Following this finding Patrick has submitted some questions to ministers on the issue of bus punctuality and monitoring of bus companies. Patrick said: “Half of households in Glasgow have no access to a car so the reliability of buses is crucial, especially for people trying to get to work and meet other appointments. The survey results show how profit-driven private operators and a disinterested Government are letting passengers down. “I have asked ministers to explain if they’re keeping a check on punctuality. If we are serious about making public transport an attractive option and a genuine public service we must crack down on unreliability. We will be reporting back on what the government has to say about monitoring bus punctuality and passenger experience once they get nack to us. In the meantime. If you haven’t yet filled in the questionaire, you can do so here.